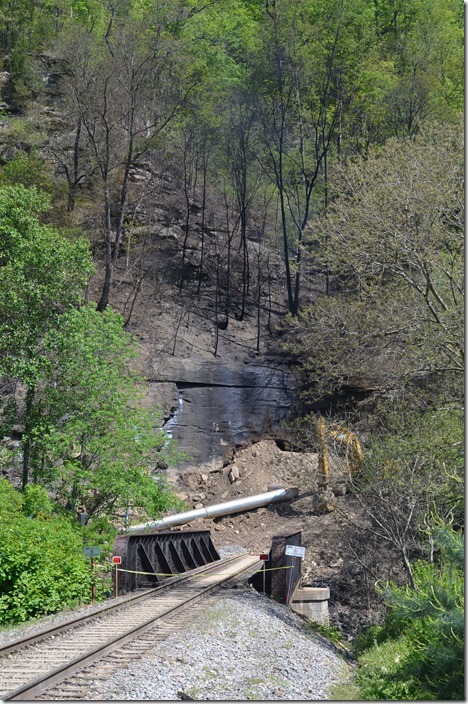 First off, the fire has been put out at Robinson Creek Tunnel on the SV&E, and work has commenced to drag out the debris. Several contractors were working at the tunnel this morning. Evidently they are hauling debris to Shelby and dumping it into gons. 1. This shot shows the east end of the tunnel at Douglas (easy to get to). That big pipe is some kind of ventilation system that also filters out particulates. I didn’t go any closer, as there were several people standing around. 2. 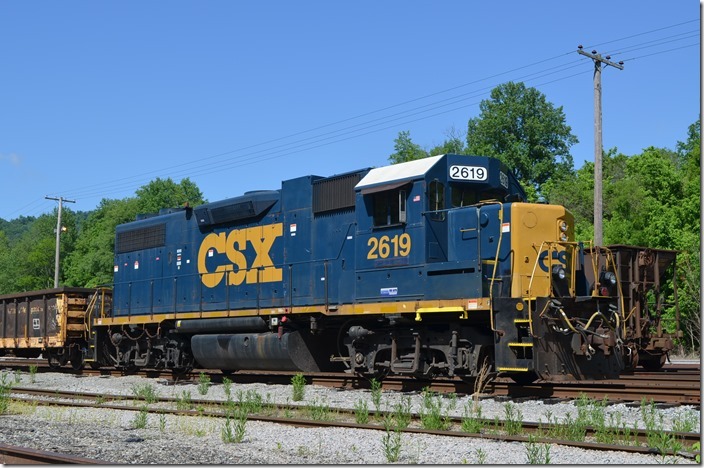 CSX SD50 no. 2480 parked on the ready track shut down. 3. 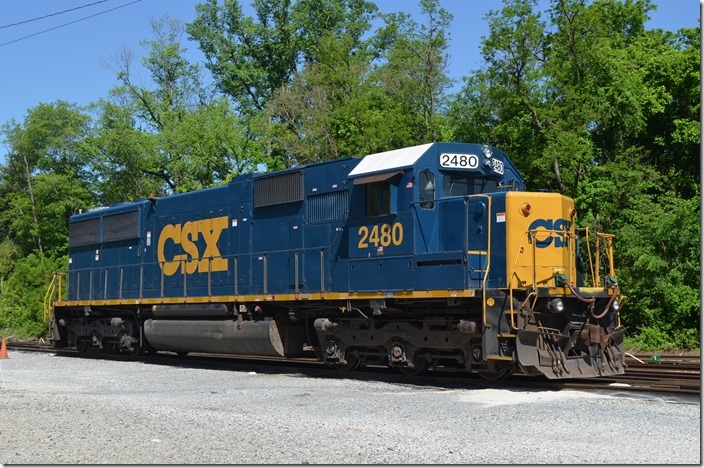 Work train headed by GP38-2 no. 2619. 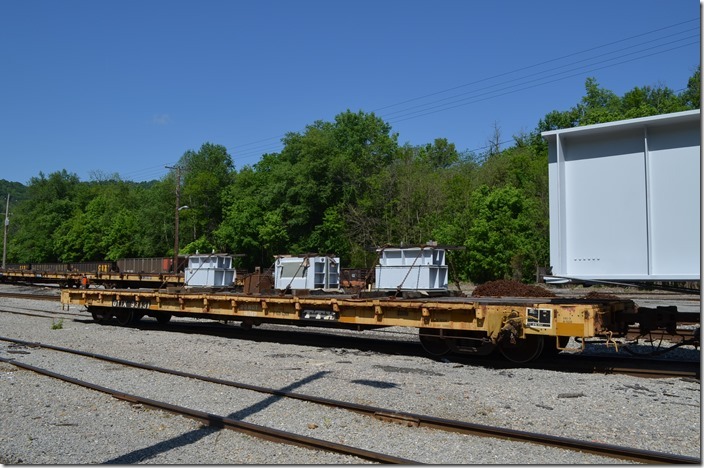 That’s a C&O flat car on the left. Been there for years. 4. 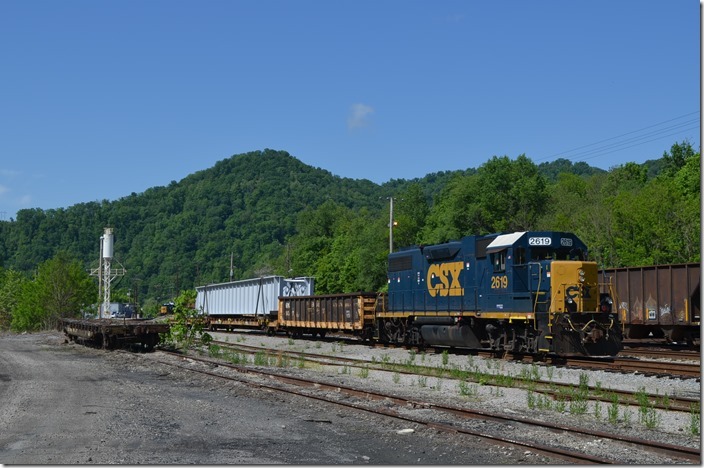 Work train headed by GP38-2 no. 2619. View 2. 5. Looks like a bridge girder, but I don’t know where it is going. 6. 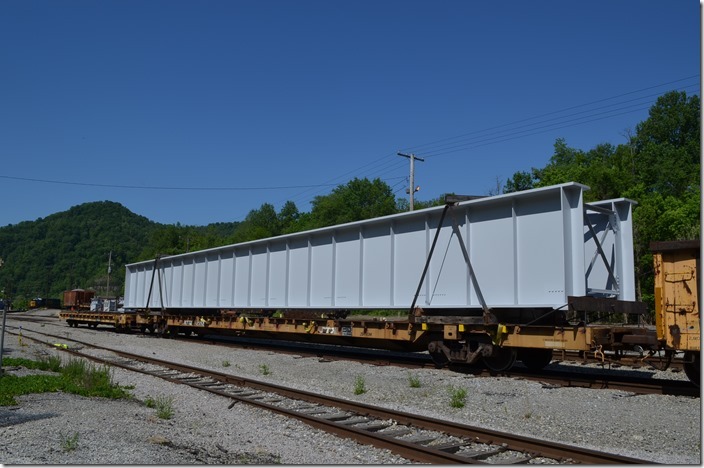 Looks like a bridge girder, but I don’t know where it is going. View 2. Had to get back to town to have lunch with my four and a half year old grandson and his mother, our daughter.